John Calvin's first catechism--originally written in French in 1537 and then in Latin in 1538--provides a valuable, clear, and concise introduction to his thought. Now for the first time, readers have available Ford Lewis Battles' English translation of the 1538 Latin edition and a current discussion of it in the same volume. 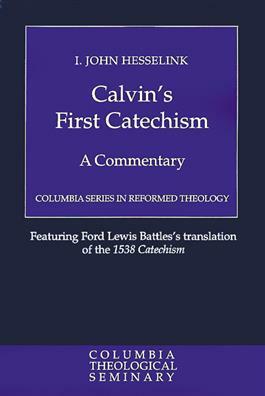 This commentary on the first catechism also utilizes other sources such as Calvin's Commentaries and Institutes, as well as the latest Calvin research. This volume is an excellent introduction to Calvin's theology and will be useful as a text for college and seminary courses as well as church discussion groups.